Retired senior US diplomats Teresita and Howard Schaffer believe the 'US cannot afford to continue restricting its contacts with Narendra Modi.' Rediff.com's Aziz Haniffa reports from Washington, DC. Two retired senior American diplomats -- with over 60 years experience in South Asia between them -- have exhorted the United States to establish communication with the Bharatiya Janata Party's prime ministerial candidate, Narendra Modi. 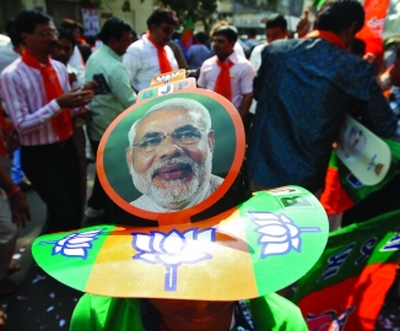 'In the tremendous buzz that has attended Narendra Modi's emergence as the BJP's candidate for prime minister in India's 2014 elections, foreign policy has been almost entirely absent,' Teresita C Schaffer and her husband Howard Schaffer, who both served as heads of the South Asia Bureau in the State Department several years ago, wrote on their popular blog 'South Asia Hand'. 'Modi's rare foreign policy statements suggest that his approach will centre on economics, India's cultural heritage, and a tough regional policy. It is too early to tell what this is likely to mean in practice,' the Schaffers added. 'The issue that is generating the most speculation now,' the Schaffers pointed out, 'is not foreign policy, but Modi's lack of senior level contact with the United States government,' particularly after the US revoked his visa in 2005 under a recent and rarely used provision of law, Section 212 (a) (2) (G) of the Immigration and Nationality Act. 'One can already see the groundwork being laid for a potential shift,' the Schaffers said. 'The more relevant problem, however, is that the United States has also limited its official contact with Modi, even after the ambassadors of other major powers had opened dialogues with him,' they said. Image: Top: Bharatiya Janata Party supporters celebrate the party's win in the state assembly elections on December 8. 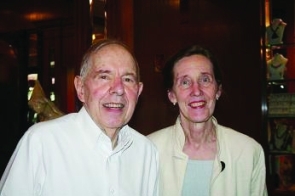 Bottom: Howard Schaffer and Teresita C Schaffer.